Happy Friday, dear readers! I am so glad that the weekend is almost here- I'll be heading down to Long Beach tomorrow to cover the International Salon and Spa Expo! It's going to be fun so be sure to be following me on social media, linked at the end of this post. Now on to today's post! My love for water decals has recently flourished, and I really like the pattern of these black and clear decals from Born Pretty Store. I love that there is so many ways to add colour (or not!) to them. I enjoyed creating this look, and I hope you do as well! Check it out! To create this look, I started by randomly dabbing on Literary Lacquers polishes in Cyantifically Proven, If Thou Hast Eyes To See, and Salmon Chanted Evening, three of the creme shades that will be available at the Literary Lacquers Pop Up the first weekend of February. I then added the water decals, linked here, before sealing everything in with top coat. 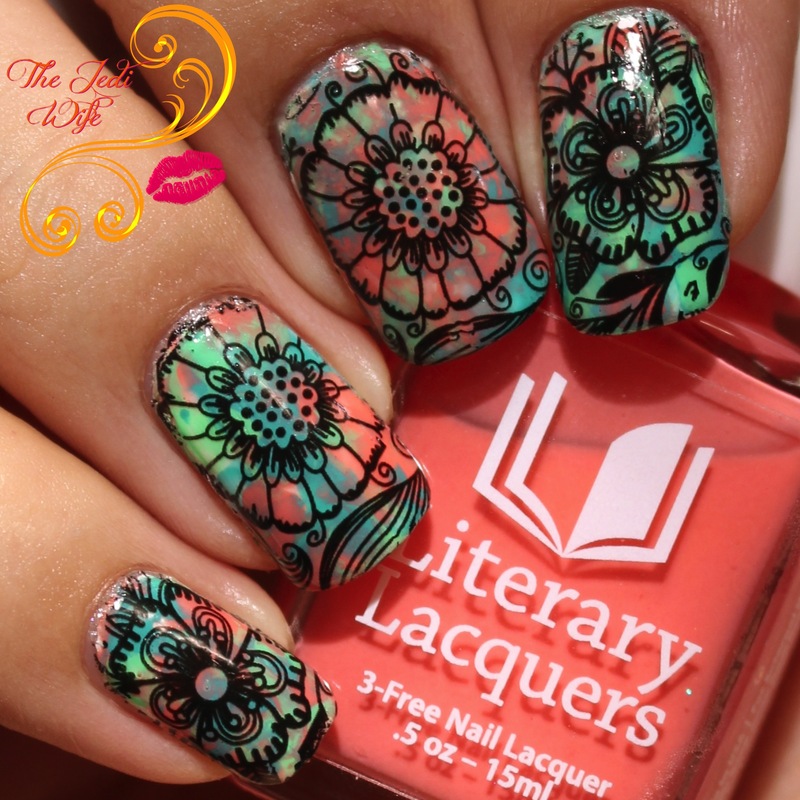 These water decals floated off the backing quickly and placed easily on my nails. After blotting up the excess water and giving the decals about 10 minutes to set and dry completely, I had no issues with the top coat smearing the pattern over the colour. This look was so easy to create, and I appreciated how quickly I could get this design on my nails. The only thing better than awesome nail art is nail art that can be accomplished quickly! These decals are available for purchase from the Born Pretty Site here. 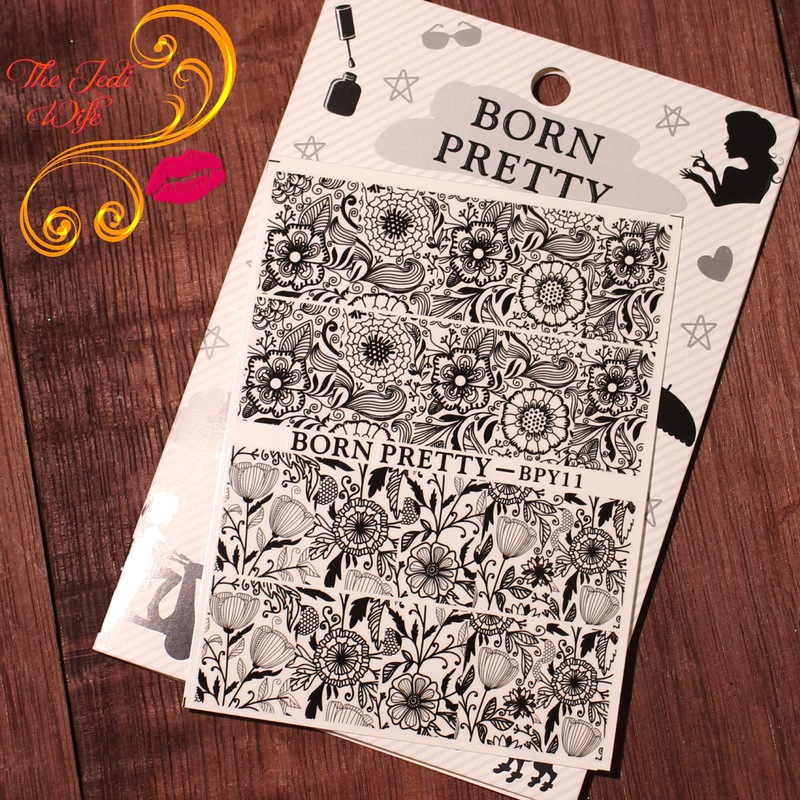 While you are visiting the site, be sure to check out what else Born Pretty Store has to offer for your nail art needs! You can save 10% off full priced items with discount code QWL91. 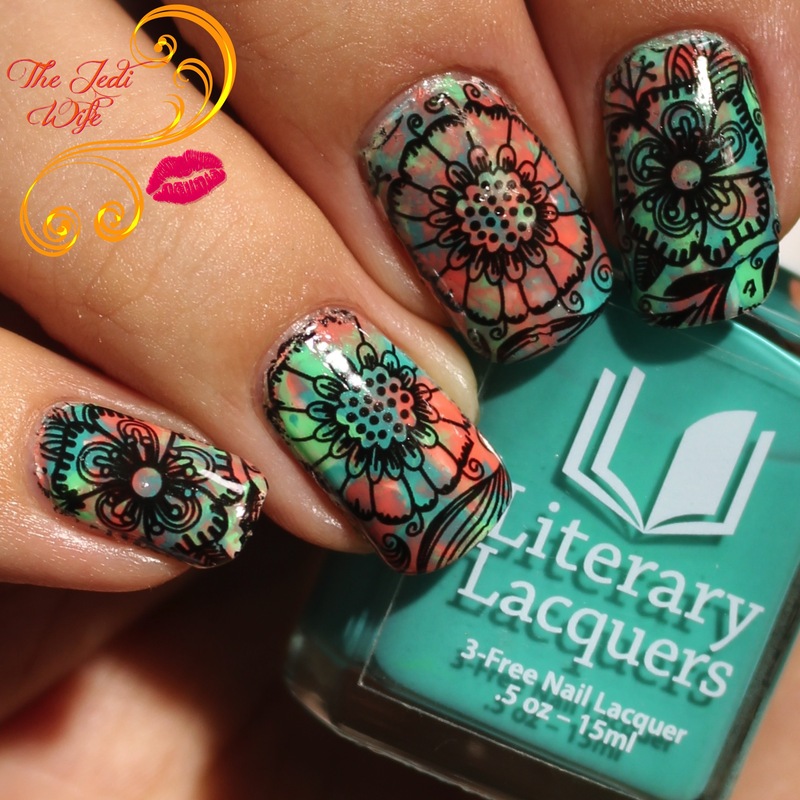 If you are interested in picking up some fabulous creme polishes, you'll want to put the Literary Lacquers Pop Up on your calender. The details are on my previous post here. Love this mani Jen! The colors under the decals are perfect. I LOVE the colourful base you did for these! So beautiful! I adore the base you did! Was shocked to see these were decals when I started reading. Great application! I love this so much. I'm going to have to grab a sheet of these decals. My favorite ones are the ones that look like stamps; I can't stamp at all, so these are perfect for me! This is a gorgeous mani and proof that simple can be so striking. That is going to be a nice manicure for the summer!